News/Goodyear Tire & Rubber Co.
After opening an investigation into allegations of Goodyear tire failures on Class A motorhomes, the National Highway Traffic Safety Administration digging deeper. In a letter sent to the Goodyear Tire & Rubber Co. last week, the NHTSA requested information about the field performance, design and construction of the motorhome tires – Goodyear’s G159. Goodyear has until May 4 to comply with the federal agency’s request. The NHTSA says it has received 10 consumer complaints alleging failures in Goodyear G159 tires on motorhomes. Two complaints allege a crash occurred as a result of the tire failures. Goodyear separately reported nine claims alleging one death and 13 injuries, the letter states. A judge ordering the release of Goodyear data that had been sealed under court orders and settlement agreements opened the doors for the NHTSA to investigate starting last year. That case is now making its way through the court system. 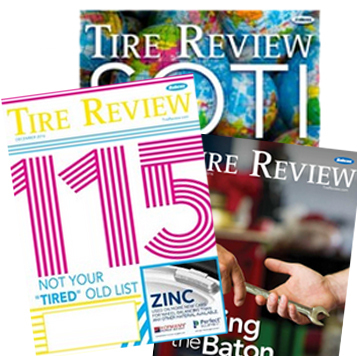 In January, advocacy group The Center for Auto Safety asked that federal regulators open closed files on Goodyear’s G159 tire. Goodyear says it produced 160,000 of the tires before it stopped making the G159 in 2003, according to an AP report. In an article in the Wall Street Journal last week, Goodyear denied allegations of a defect in the RV tires under investigation that are linked to 95 deaths or injuries. To read more about the investigation, click here. Find out more about what documents the NHTSA is requesting from Goodyear by reading the letter the agency sent the tiremaker last week.